This deal is back! 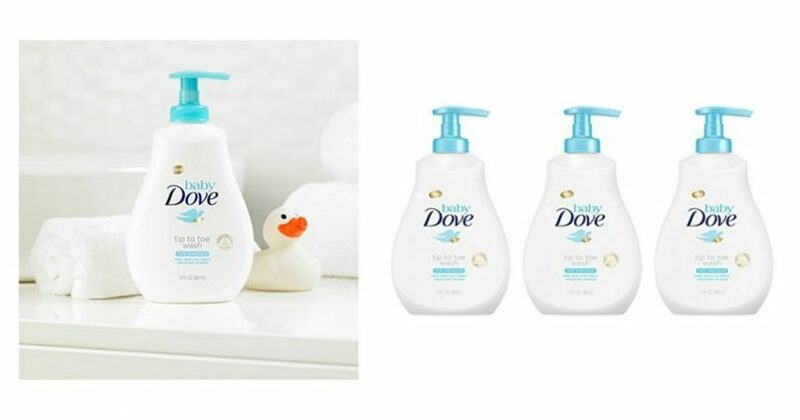 Amazon currently has a $3.00 coupon to use on this 3-pack of Baby Dove Tip to Toe Wash. Stack this coupon with Subscribe and Save to grab it for just $4.05 per bottle (compared to $5.86 per bottle at Walmart). Final Price: $12.15 or $4.05 per bottle! If you’re like me, and don’t want the subscription because you are buying this as a gift for someone, you can still use the $3.00 coupon! You will end up paying just $4.32 per bottle, which is still lower than if you bought it in-store!